Trees growing in the wild rely on the soil to provide the nutrients they need to grow. In a backyard environment, trees and shrubs compete for available nutrients and may require fertilizer to keep them healthy. Arborvitae are narrow-leaf evergreen trees with leaves that look like scales. 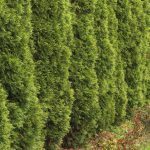 Different arborvitae species grow into different shapes and sizes, making the tree an excellent choice for hedges of any height or specimen plants. Beloved for their fast growth, arborvitae – especially those planted near other trees or in hedges – often require fertilizer to thrive. It isn’t difficult to begin fertilizing arborvitae. Read on to learn how to fertilize an arborvitae and the type of fertilizer for arborvitae. 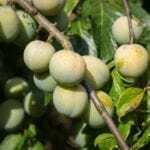 Many mature trees do not require fertilizing. If your arborvitae is planted alone as a specimen tree and appears happy and thriving, consider skipping the fertilizer for the present time. 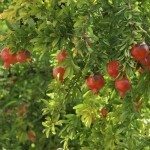 If your trees are fighting for nutrients with other plants, they may need fertilizer. Check to see if they are growing slowly or otherwise look unhealthy. Before you fertilize, learn about the optimal type of fertilizer for these tough evergreens. 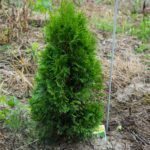 What Type of Fertilizer for Arborvitae? If you want to start providing fertilizer for arborvitae trees, you need to select a fertilizer. You can select a single-nutrient fertilizer like nitrogen, but unless you are completely certain that your soil is rich in all other nutrients, it may be better to opt for a complete fertilizer for trees. Experts recommend slow release granular fertilizer for arborvitae trees. 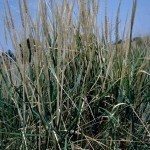 The nitrogen in this fertilizer is released over a long period of time. This enables you to fertilize less often and also ensures that the tree’s roots will not burn. Select a slow-release fertilizer that includes at least 50 percent nitrogen. 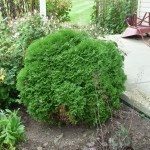 How to Fertilize an Arborvitae? Applying fertilizer for arborvitae trees correctly is a matter of following easy directions. The fertilizer container will tell you how much of the product to use per tree. To fertilize your trees, broadcast the recommended amount of fertilizer evenly over the root zone. 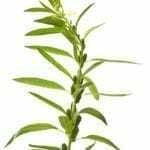 Keep the granules well away from the plant’s trunk area. Water the soil beneath the tree well when you are done fertilizing arborvitae. This helps the fertilizer dissolve so that it is accessible to the roots. It is also important to know when to feed arborvitae. Fertilizing arborvitae at the wrong time can lead to problems with the tree. You should fertilize your arborvitae during the growing season. Offer the first feeding just before new growth begins. Fertilize at the intervals recommended on the container. Stop fertilizing arborvitae one month before the first frost in your region. Read more articles about Arborvitae.